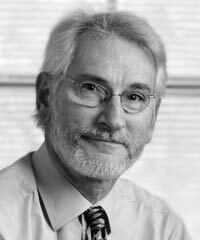 In his current role, Allen L. White directs the Tellus Institute’s corporate redesign program. He cofounded the Global Reporting Initiative in 1997 and served as Chief Executive through 2002. In 2004, White cofounded and now directs Corporation 20/20, an initiative focused on designing future corporations to sustain social purpose. In 2011, he founded the Global Initiative for Sustainability Ratings. White advises multilaterals, foundations, corporations, and NGOs and has served on fiduciary boards, advisory boards, and committees of the International Corporate Governance Network, ISO, Civic Capital, the Initiative for Responsible Investment at Harvard, New Earth, and Instituto Ethos (Brazil). He is coauthor of Corporate Environmentalism in a Global Economy.